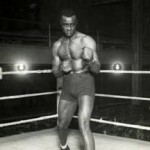 December 21, 1958 Harry “The Black Panther” Wills, hall of fame boxer, died. Willis was born May 15, 1889 in New Orleans, Louisiana. He began his professional boxing career in 1911 and fought for over 20 years, often ranked as the number one challenger for the heavyweight title, but never given the opportunity to fight for the title due to his race. Wills spent six years trying to land a fight with Jack Dempsey, who was willing to fight him, but the Governor of the State of New York would not allow it fearing that race riots would follow the fight. Willis retired from boxing in 1932 with a record of 65 wins, 8 losses, and 2 draws. After retiring, he ran a successful real estate business until his death. Wills was posthumously inducted into the International Boxing Hall of Fame in 1992. December 14th in African American History – Aloyisus Leon Higginbotham, Jr.